[toc]A person is said to be suffering from Bloating of the stomach, if he/she suffers from protruding of belly due to excess gas formation in the body. Bloating usually occurs due to indigestion of food after consuming heavy and rich meal. Bloating is often accompanied by other symptoms like tightness in the stomach, pain, cramps, belching, pain in the lower back region, shortness of breath etc. Bloating is caused due to indigestion, constipation, anxiety,stress, over eating etc. Bloating can be easily prevented by avoiding over eating, carbonated drinks, eating too fast and decreasing the intake of food at one go. 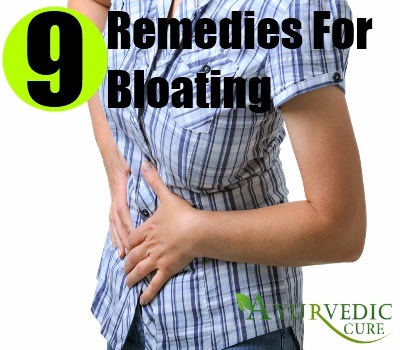 Below mentioned are some effective herbal remedies to prevent Bloating. Dill is one of the most important herbal remedies available for preventing Bloating. Dill is a very good stomach tonic available naturally. It helps in easy and quick digestion of oily and spicy food, thereby preventing the instances of indigestion, gas formation and Bloating in the body. 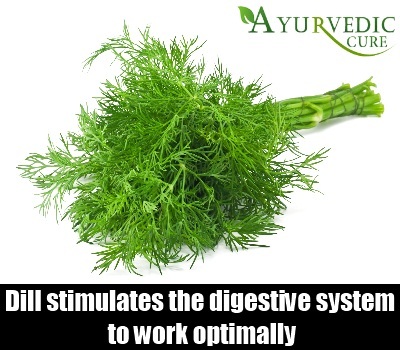 Dill helps in increasing the overall well-being of the body by stimulating the digestive system to work optimally. Dill is an important ingredient of many herbal remedies available in the market for improving digestion and removing gas and bloating. Dill is also very safe for the children and is used for making many infant colic remedies. Dill helps in settling an upset stomach and its seeds can be consumed in form of seasoning. Dill is also available in form of tonics, syrups, capsules etc. Fennel is again one very important digestive herbal remedy available for preventing the formation of gas and Bloating. Fennel helps in stimulating the digestive system to work properly and enhances its power to digest heavy, rich and spicy food easily. This prevents indigestion, gas and boating for occurring due to indigestion in the body. 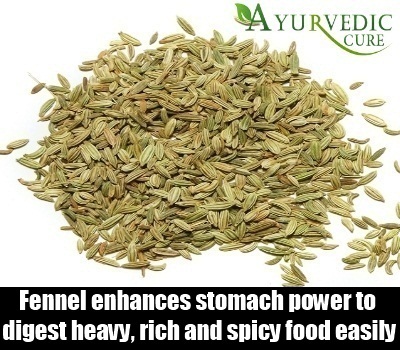 Fennel helps in settling the stomach and aids the body to dispel gas, effectively solving the problem of Bloating. Fennel seeds are highly aromatic and can be chewed after a heavy meal to prevent Bloating. It can also be consumed in form of digestive tonics, added to cooked food etc. 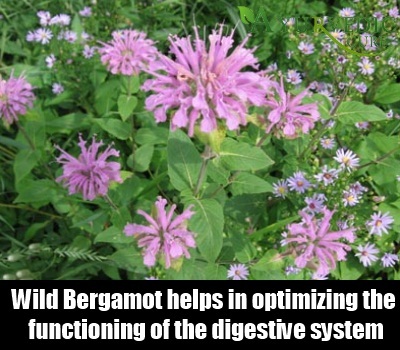 Wild Bergamot is yet another very useful herbal remedy to prevent Bloating of the stomach. Wild Bergamot helps in optimizing the functioning of the digestive system and helps in preventing bloating. It is also very useful in preventing gas formation and stomach upsets. Bergamot helps in reducing the spasm in the stomach muscles and provides a soothing and calming effect. The oil of Bergamot can be rubbed on the stomach to prevent Bloating. It can also be added to herbal tea and consumed for instant relief from stomach pain caused due to gas and Bloating. Caraway has been used traditionally since ancient times to get rid of Bloating. 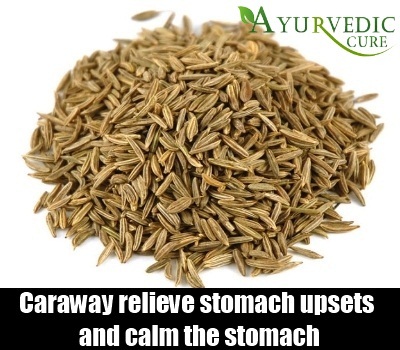 Caraway seeds and oil are used popularly to relieve stomach upsets and calm the stomach by dispelling gas and reducing bloating of the stomach. It also helps in easing the stomach spasms which aggravate the problem of Bloating. Both the seeds and oil of Caraway are rich in medicinal properties and used effectively to control bloating and promote healthy digestion. An herbal tea made using Caraway seeds is very effective in preventing Bloating. Caraway oil can also be rubbed on the stomach to prevent gas and Bloating. 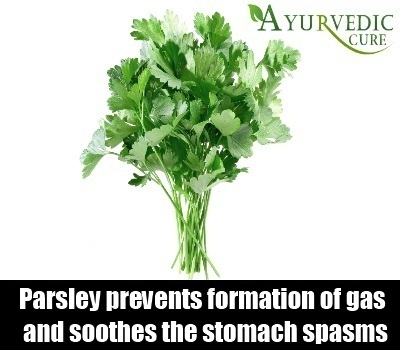 Parsley is one of the easily available herbal remedies available for prevent gas and Bloating. Parsley helps in aiding in better digestion in the body, thus preventing formation of gas and Bloating in the body due to indigestion. It is also very useful in soothing the stomach spasms, which increase bloating in the body. Parsley can be added to salads, soups etc in form of garnishing. It can also be added to cooked food and consumed. Parsley can also be added to tea and consumed for getting rid of Bloating. Peppermint has been used since centuries to cure the problem of bloating and gas. Peppermint helps in reducing the muscle spasms in the stomach, thereby preventing the sensation of nausea, formation of gas and Bloating in the body. Peppermint is also very effective in improving digestion and provides a soothing and calming effect. Peppermint herbal tea is best effective for reducing Bloating when taken hot, especially after a heavy meal. 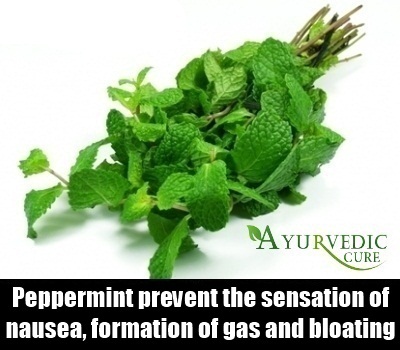 Peppermint can also be consumed in form of digestive lozenges, syrups, tonics etc., to prevent gas and bloating. Spearmint is one of the safest and easily available herbal remedy for preventing the problem of gas and Bloating. 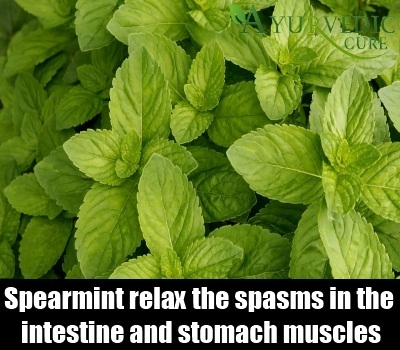 Spearmint helps in relaxing the spasms in the intestine and stomach muscles, thereby helping to prevent gas formation and bloating in the body. It is extremely mild and can be given safely to small children to provide relief from colic, stomach pain, indigestion, gas and bloating. Spearmint can be added to tea and consumed for providing relief from Bloating. It can also be taken in form of tonics, capsules, chewed raw etc. The oil of spearmint an be rubbed on the stomach to calm it and reduce the Bloating. Chamomile is one of the most beneficial herbal remedies available for a number of digestive system related problems, including Bloating. 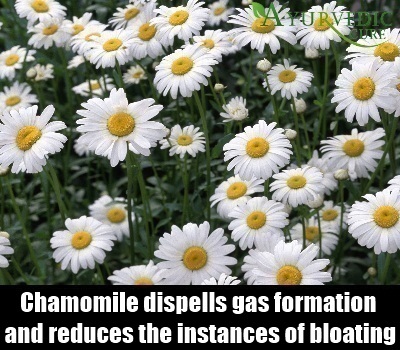 Chamomile contains bitter components, which help in aiding in better digestion, dispelling gas formation and reducing the instances of Bloating. Chamomile also helps in reducing tension, stress and anxiety, which cause indigestion and Bloating. Chamomile also has anti-spasmodic properties, which help in calming the stomach and prevent gas formation and Bloating. Chamomile herbal tea is very soothing for the stomach and prevents Bloating of the stomach, acidity, gas, stomach pain etc. Anise has been used traditionally since ancient times to solve the problem of Bloating, caused due to inefficient functioning of the digestive system. The seeds of Anise are rich in medicinal properties and are used to prevent indigestion, colic, stomach pain, gas and Bloating. Anise is also used to calm the nerves, reduce anxiety and stress, which otherwise gives rise to indigestion and Bloating in the body. 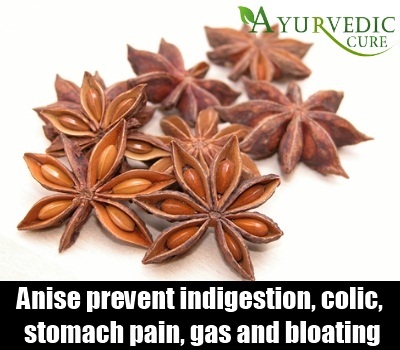 Anise seeds and oil are used to make many digestive herbal remedies to prevent Bloating. It can be consumed by addition to daily food, herbal tea, syrups etc. Anise seeds can also be added to tea and consumed after heavy meal to prevent gas and Bloating.